End-stage renal disease (ESRD) patients often report a combination of disturbing physical symptoms and psychological distress which result in significantly reduced quality of life (QoL). Coping with a chronic disease is a complex matter involving also the family and a multi-disciplinary team. Recently, observational studies suggested that spirituality (S) and religiosity (R) are two important determinants in coping with a chronic/terminal disease. Both concepts were studied in various settings, involving ESRD and QoL. 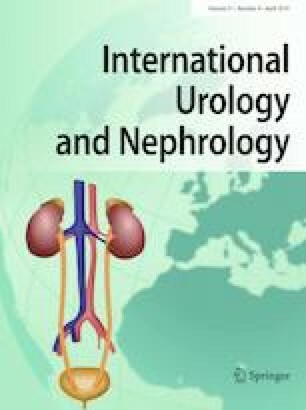 This systematic review aims to synthesize all instruments used to assess R/S, to examine the strategies evaluating QoL of dialysis patients and to analyse their correlations. In accordance with the PRISMA, a systematic search was conducted in PubMed and SCOPUS (between Jan 1980—Dec 2018, PROSPERO number CRD42019116837). Eligible studies included patients on dialysis therapy, religiously/spiritually assessed and contained QoL evaluation. Of the initial 311 studies, 261 papers were excluded. Consequently, 50 papers with a total 9265 patients were available for inclusion. From a list of 177 R/S scales available worldwide, we identified 24 tools. We organized all QoL parameters into 10 classes. In all studies, R/S variables were positively correlated with at least one QoL variable. In this systematic review, we synthesized the studies involving R/S assessment in dialysis patients and their benefit on QoL. R/S has a positive impact on most QoL parameters in 5D-CKD. We suggest that nephrology guidelines on palliative care and/or elderly should include specific recommendations on R/S support and opportunities for integrated specific therapies. The online version of this article ( https://doi.org/10.1007/s11255-019-02129-x) contains supplementary material, which is available to authorized users. AB was supported by the Romanian Academy of Medical Sciences and European Regional Development Fund, MySMIS 107124: Funding Contract 2/Axa 1/31.07.2017/ 107124 SMIS. AC was supported by a grant of Ministery of Research and Innovation, CNCS - UEFISCDI, project number PN-III-P4-ID-PCE-2016-0908, contract number 167/2017, within PNCDI III.